Beehive, established in 1968 passes it's 40th Anniversary this year. 40 years ago, Fred Bartram (currently Chairman of Beehive) started up Beehive Coils Limited, to offer our first customers (such as HRP, Carters and Barkers to name but a few) high quality, superior products at a competitive price. These are still some of the main objectives used at Beehive today; to offer the best quality product at an economical price as well as ensuring that all of the customers technical design needs are met. 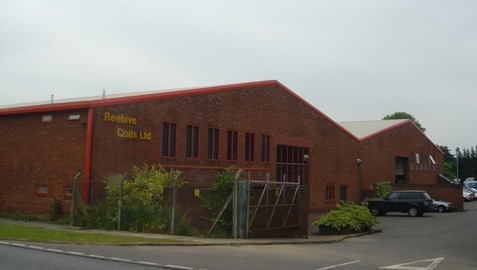 Beehive Coils Limited (and our 100+ skilled employees) are based in Suffolk, in our 90,000 ft² production facility, which is only an hour from London. This gives our dedicated delivery transport easy access to the whole of our UK customer base, as well as our European clients. One thing that has changed over the years is the process of production of the coils and components that we produce. Fortunately, the days where the Chairman used to cut each fin for the coils by hand and drill each hole for the tubes individually are no more as we now use state of the art fin-line presses giving high volume fins, accurate cuts punched quickly, to meet customer demand. Similar improvements have been made with our tube manipulation and material folding machines. All have been renewed year after year to guarantee that our manufacturing capabilities remain at the highest standard possible, resulting in the perfect finished product. Materials used in the productions of coils have also vastly improved to give better performance and longer lasting products. Beehive spearheaded the introduction of hydrophilic fin as an option on their evaporators which encourages moisture to run off the fin, reducing the possibility of frost damage and increasing the performance of the coils in certain applications. Everyone at Beehive is keen to highlight the fact that 'We dont just make coils anymore’, as is highlighted on our latest advertisements in ACR News monthly magazine. Over the past few years, Beehive has ventured out into many different areas of the air conditioning and heat transfer equipment market with great success. 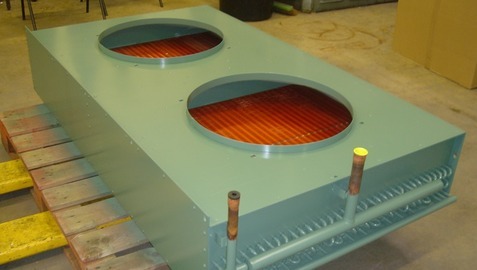 As well as the standard water, condenser & evaporator coils we manufacture a long list of additional products such as CO2 units, steam coils, fan coils, horizontally mounted flat bed units, v-block condenser units (all of these units can have fans supplied, fitted and wired by Beehive if required), portable heaters, enclosure unit ranges, coaxial condenser unit ranges and much, much more. Our CO2 Coil Department has been getting busier and busier due to the recent demand for this type of unit and we are now able to hydraulically test CO2 coils up to 110 BAR (over 1600 PSI) to ensure they are safe for use with this refrigerant. CO2 units were previously manufactured back in the 1940’s and are now becoming popular once again due to progression in manufacturing and safety techniques, making this product a feasible option. 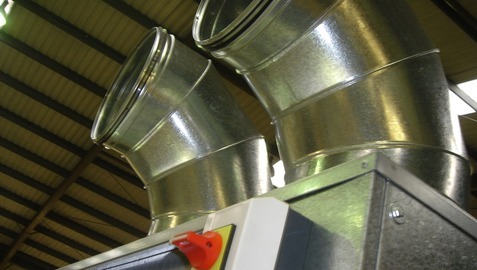 We also offer a full design service, which can normally be included within the cost of the coil. If you just have some figures - then don’t hesitate, pick up the phone and we'll do our best to design a unit to meet your needs giving us total familiarity when actually manufacturing the new unit. You can speak direct to our Technical Director who has an extensive level of experience in the industry on specialist projects requiring scientific creativity and knowledge. Replacements are no problem either. If you have an old coil needing to be upgraded or repaired, just contact Beehive and send the old coil into us. 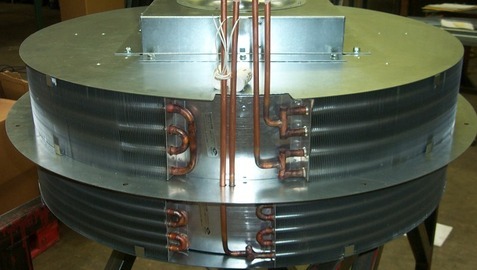 Once we get the original unit, we can produce a replacement exactly as previous or in some cases, design a more efficient unit to improve performance and efficiency reducing the carbon footprint of the overall system when the new coil is fitted. Since being established, we have manufactured nearly 2,000,000 + coils to date and we are regularly producing up to 1,000 coils/units every week. All coils & units Beehive Coils produce are manufactured to current Pressure Equipment Directive standards and all are supplied with a comprehensive warranty. We also hold the ISO 9001:2000 accreditation ensuring quality of product & excellent service levels. Beehive has always been and still is a family run firm with 3 generations working together along with their employees to make certain that they can meet all of your requirements. Family is important to Beehive and they treat all of their customers (large or small) and employees as you would a family member, with respect and honour. We would like to thank all of our past & present customers for continuing to place your trust with Beehive Coils Limited and we look forward to continuing to grow into further areas of the industry to enable us to assist you in even more ways.